Critiques, Contacts and Competitions – What a week! So much has gone on this week there’s a danger it won’t fit on the page. It all started last Tuesday and ended on Sunday with a lovely surprise. 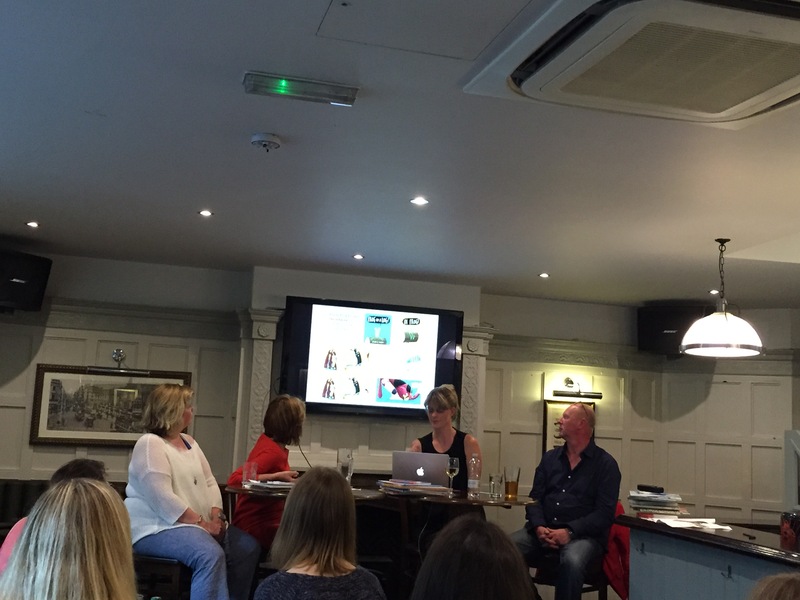 TUESDAY: The SCBWI Industry Insiders: Picture Books & Early Readers talk in London. On the panel were Sara Grant from Book Bound, Emma Layfield from publisher Hodder and Mark from Plumb Pudding Illustration Agency. They gave one of the best, most informative talks I have ever attended – and believe me I have attended a few. There was none of that, ‘we’re not sure what we want but we know it when we see it’ vagueness. No indeed, we got straight to the point with marketing facts and figures and actionable advice such as, tops tips on how to write for each age group, lists of bestsellers, which supermarket promotional slots to target for picture books, the where and why of what sells in international markets, UK trends and opportunities and why there are so many picture books featuring the Queen’s Hat/Knickers/Baby…. and why there will be more still! I’ve filled half a notebook with scrawled notes. Here’s a couple of happy facts I’ll share with you. The UK is a highly productive picture book market. There are 153,000 new picture books published every year. Picture books have a maximum of 14 spreads and should be 400-500 words. What is a young readers? Sara Grant has helpfully dissipated my confusion over young readers. These are the illustrated books for 5-8 year olds and should not be confused with reading scheme books, which are used by schools and parents to teach children to read. Writing for reading schemes is by invitation only. Agents and publishers are actively looking for original stories for 5-8 year olds, it’ a growing segment. The SCBWI Undiscovered Voices competition would also welcome more young readers entries. It opens for submissions in July. The average length of a young reader is 5,000 words. It was good to see some familiar faces and catch up with fellow SCBWI’s at this well attended event. Thursday: Children’s Book Circle: 15 minute critique with a picture book publisher at Penguin HQ. It’s a worthwhile experience to have a story critiqued by a professional even if it is only for 15 minutes. Sophie from Scholastic provided some very insightful advice. She explained why circular stories work so well, why characters should be very active on the page, and why I need to tone down my bossy mean uncle character. But 15 minutes goes very quickly! Saturday/Sunday: Winchester Literary Festival Writing Competitions. I submitted three picture books and a reworked opening to my YA novel to this competition that also promised a mini critique for each entry. To my surprise I was shortlisted for the First Three Pages of a Novel Prize and won. My prize is a meeting with publishers Little Brown. Now I must get back to editing my novel and that picture book! It was a great evening event, and well worth the hairy scary drive to get there on time from work! Congrats on the win! Nice summary! I am so tickled to see Sara Grant’s name mentioned. I still remember her from when she was the regional adviser in the Indiana SCBWI chapter!